Evangelical and Liberal: Roots of a Trajectory? I've been reading the work of Reinhold Niebuhr again lately. Now here is a thinker who appreciated irony, and my own relationship with his body of work is a bit ironic -- both appreciative and skeptical. Niebuhr exhibits something of a two-sidedness, a dialectical form of discourse that seeks to keep the ideal and the real in a constant state of creative tension. He draws from the political idealism of the Social Gospel movement and liberal Protestantism, yet this is tempered and reconstructed by a realism about the fragile and fallen character of human nature which comes to expression, especially, in the agonistic realm of power politics. Difficulties attend the old characterization of his theology and political ethics as "neoorthodox", neither completely liberal-modernist nor traditional-conservative but some sort of tertium quid. Back in the 70s, David Tracy (following Wilhelm Pauk) argued that "neoorthodoxy" was best understood a self-critical moment within the broader liberal tradition, and that makes sense to me [See his Blessed Rage for Order New York: Seabury, 1975), p. 27]. Nowadays the term "neoorthodoxy" itself is highly contested, but Douglas John Hall makes a good attempt at retrieving both the label and the thinkers who have been thought to exemplify it. To complicate matters further, it is also tricky to situate Niebuhr's ideas and commitments in religion and politics in relation to the ever slippery label "liberal", which means so many things, often contradictory, to different people. Moreover, "liberal" is something of a dirty word in contemporary politics. The sense of the term that is most attractive to me, names a position that puts a high value on free, critical inquiry and on the exercise and protection of basic human rights and dignity. Other senses of the term "liberal" are perhaps less felicitous, but it obscures the matter to nervously replace the word with "progressive". I think it is safe, though a bit vague, to characterize Niebuhr as a thinker and activist who is deeply immersed in various strands of modernism while also being sharply critical of the more idealistic strands of progressive thinking; to that extent, then, he qualifies as a liberal -- or a radical who turned liberal, or a liberal who became less radical, or a liberal who became "neoorthodox". But his perspective was a far cry, I'm convinced, from that of the neoconservatives who have wished to claim his legacy in recent decades. So I discern a certain two-sidedness, a certain interesting complexity in Niebuhr's life and thought, a sort of dialectic easily missed in more breezy assessments of him. From what sources does he get this? Perhaps something of it comes from his father, a fascinating figure in his own right. 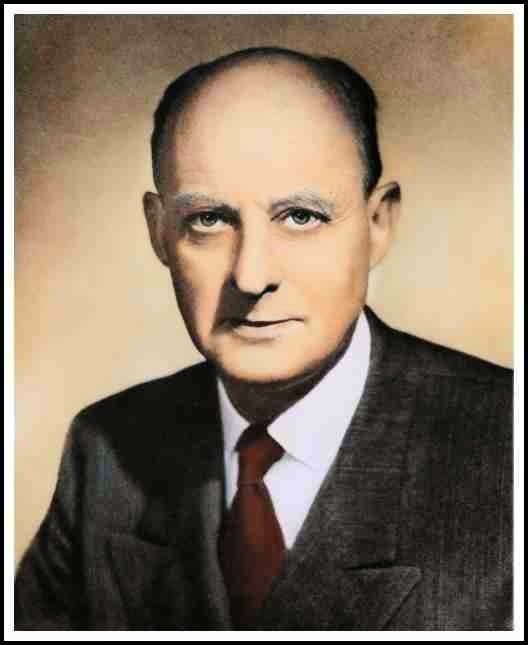 Gustav Niebuhr was an immigrant who pastored churches in the German Evangelical Synod in Missouri, California and Illinois. (The Evangelical Synod was the predecessor of the Evangelical and Reformed denomination that later merged into the United Church of Christ.) Gustav's sudden death at age 50 catapulted the young Reinhold, still pursing his education, into the practical demands of the pastorate, as he temporarily assumed his father's post in Lincoln, Illinois. Reinhold was as restless and as driven as Bedford Falls' favorite son, George Bailey; still, unlike Jimmy Stewart's hapless character, the young Niebuhr got out of dodge as soon as he could to pursue his wonderful life further at Yale Divinity School before returning to the Midwest for an urban pastorate in Detroit. Paradoxically Gustav was both liberal and Evangelical in his faith. He was liberal in his conviction that the Gospel was social as well as individual, that the Christian had to work for social improvement, not simply religious conversion. He was also liberal in his unconcern for doctrinal precision. He told his parishioners and his children that it was better to define faith as trust, not belief. And he was liberal in his ecumenical interest, his determination to break down artificial walls between the denominations. But unlike those liberal ministers who tended to reduce theology to philosophy or ethics, and to strip Jesus of his divinity in favor of calling him a perfect human being, he insisted on the divinity of Christ, the supernatural inspiration of the Bible, and the centrality of prayer in the religious life. He was a pietist, not a fundamentalist -- not every word of the Bible was literally true. Yet while he dismissed the fundamentalists, he was also enraged by liberal modernists who discounted the New Testament miracles. In his review of Harnack's Wesen des Christentums [The Essence of Christianity] in 1902 he [Gustav] praised the celebrated church historian's open-mindedness but ridiculed his contention, in Gustav's words, that "the stilling of the storm at sea is a violation of the laws of nature which no one should be expected to accept." Harnack was "a child of the times" who was prone to "subjectivism." Like Schleiermacher in his time, [Harnack] feels impelled by the prevailing philosophy to declare as impossible a certain class of miracle, thereby limiting the omnipotence of God instead of defending the thoroughly Christian and true-to-the-Gospel proposition that God the law-giver stands above all law, including the laws of nature. As the sketch of Gustav Niebuhr continues in the pages that follow, he comes to seem less liberal on the economic and social fronts: He favored a form of beneficent capitalism and was not stirred by the rising tide of socialism, and he was a vocal opponent of the burgeoning women's rights movement. So, as with his famous son, we can see Gustav as a figure straddling two worlds in a time of extensive transitions. Reinhold, much more the Ritschlian liberal than his father, would demur from Gustav's bold supernaturalism, just as he would be more left-leaning in his socio-political views. But the son certainly followed the father's footsteps in another important arena: Gustav was convinced that the message of the Gospel belongs in the public sphere, and that means the theologian must actively confront social injustice. Clearly, a pastor-intellectual who would challenge the invincible Henry Ford over his exploitative labor practices in booming, 1920s Detroit, and would later run for public office as a Socialist in New York state imbibed something of the elder Niebuhr's evangelical fervor. So, without necessarily endorsing the view outlined above or drawing the battle lines in quite the same places that Gustav Niebuhr would, I would say his example might show how it is possible to be both evangelical and liberal -- or maybe even something a little bit beyond liberal -- that is, if one can learn to live with a little irony. '...imbibed something of the elder Niebuhr's evangelical fervor'. I smiled, given the title and subject matter of this post!